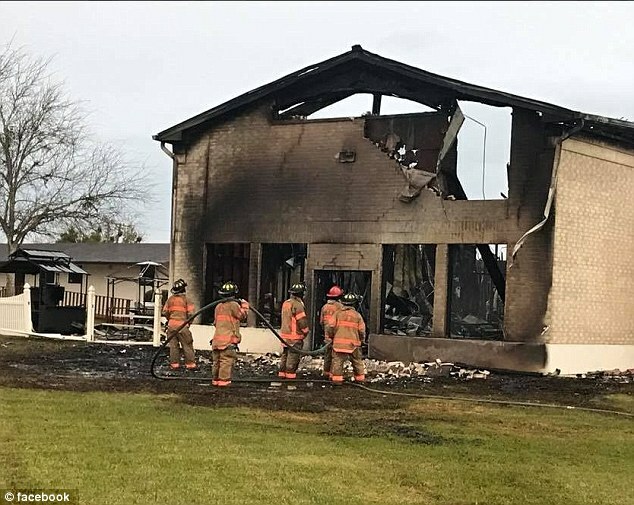 A Texas mosque has been ravaged by a fire just hours after President Donald Trump signed an executive order restricting migration from seven predominantly Muslim countries. 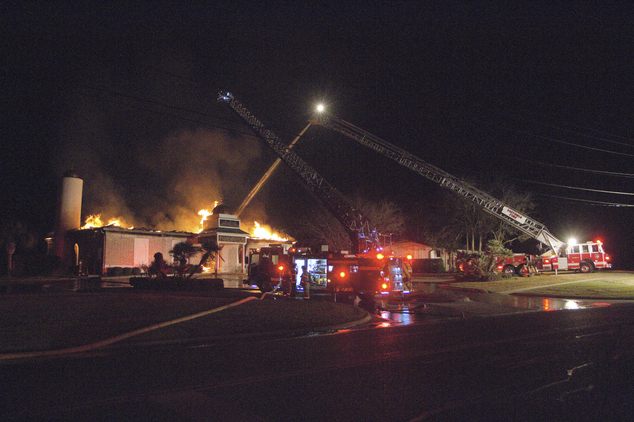 A clerk at a convenience store spotted smoke and flames billowing from the Islamic Center of Victoria at around 2am on Saturday, and the fire department spent more than four hours battling the blaze. The imam was awake in the early morning hours and checked the mosque’s online surveillance, only to find the alarm was inactive and the doors were unlocked, the Islamic center’s president Shahid Hashmi said. Just last week, someone broke into the mosque and stole a number of electronics, including laptops. ‘It’s sad to stand there and watch it collapse down, and the fire was so huge,’ Hashmi said. Victoria Fire Marshal Tom Legler asked for help from the Texas Fire Marshal’s Office and federal Bureau of Alcohol, Tobacco, Firearms and Explosives to determine what caused the blaze. don’t have any lead or information as to what started the fire and what happened. 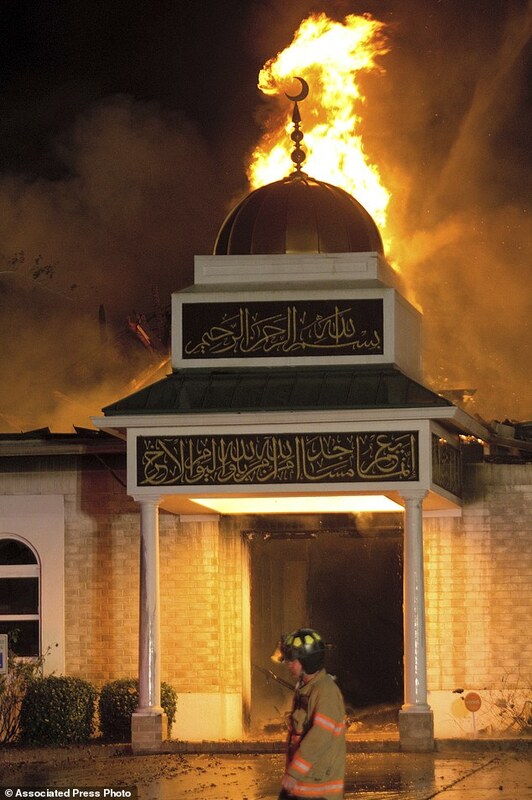 The mosque was built in 2000, and has enjoyed support from the city of about 115 miles southwest of Houston. Hasmi has already has received offers of temporary quarters for the congregation to worship and a GoFundMe page has collected $165,677 in donations. In addition to the break-in last week, the mosque was subject to vandalism in July 2013, after a man painted ‘H8’ or ‘hate’ outside the building. The Texas office of the Council on American-Islamic Relations said it would monitor the investigation of the Victoria fire. 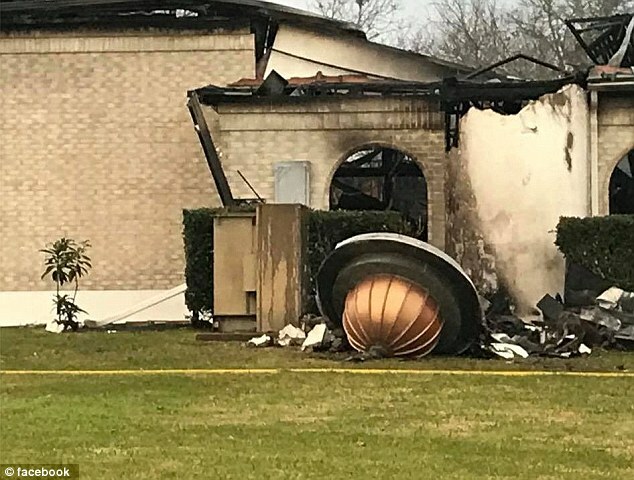 ‘Because of growing anti-Muslim bigotry in our nation, and because of the recent spike in hate incidents targeting Islamic institutions and individuals, we urge investigators to keep the possibility of a bias motive for this fire in mind,’ CAIR-Houston Executive Director Mustafaa Carroll said. Trump signed an executive order, barring any non-U.S. citizen from Iraq, Syria, Iran, Sudan, Libya, Somalia or Yemen from entering the United States. That includes legal permanent residents – green card holders – and visa-holders from those seven countries. They cannot return to the U.S. for 90 days. There’s an exemption for immigrants and legal permanent residents whose entry is in the U.S. national interest, but it’s unclear how that exemption will be applied. Visa and green card holders already in the U.S. will be allowed to stay. A federal judge in Brooklyn issued a nationwide, emergency stay on Saturday night to allow people with a valid visa to remain once they’ve landed in the US. The decision did not strike down the executive order, and is only temporary.